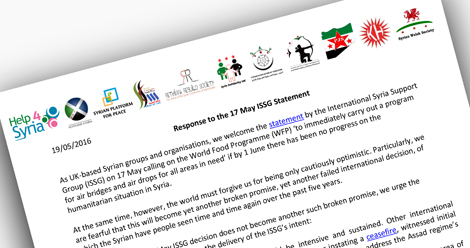 As UK-based Syrian groups and organisations, we welcome the statement by the International Syria Support Group (ISSG) on 17 May calling on the World Food Programme (WFP) ‘to immediately carry out a programme for air bridges and air drops for all areas in need’ if by 1 June there has been no progress on the humanitarian situation in Syria. At the same time, however, the world must forgive us for being only cautiously optimistic. Particularly, we are fearful that this will become yet another broken promise, yet another failed international decision, of which the Syrian have people seen time and time again over the past five years. 1. Enforcement of the 17 May statement should be intensive and sustained. Other international decisions, such as those banning the use of barrel bombs or instating a ceasefire, witnessed initial implementation which waned as the international community failed to address the Assad regime’s continuous breaches of these respective agreements. 2. Delivery of humanitarian aid must be comprehensive, thus spanning the entire geographic area of Syria. 3. The delivery of humanitarian aid should in no way be conditional, whether explicitly or implicitly, upon the consent of the Assad regime. 4. Humanitarian organisations, including the WFP, must be guaranteed their security by ISSG Member States, including military escorts for airdrops if necessary. 5. If the WFP is not able – or is not permitted by the Assad regime – to provide humanitarian assistance across the entirety of Syria, then the onus is on Member States of the ISSG to unilaterally take necessary measures that alleviate the humanitarian suffering. 6. In parallel, the ISSG should intensify its focus on the effective enforcement of the Cessation of Hostilities and press for progress on the detainees track. We are also seeking clarification as to the specific means of support that Member States of the ISSG will provide to humanitarian operations in Syria, in line with their pledge to ‘support such a program’ of air drops. The credibility of the ISSG and its Member States is now on the line. There needs to be a significant response if at any point after 1 June the Assad regime denies aid access to Syrians in need. 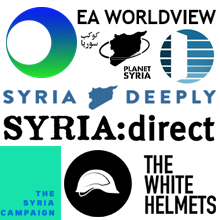 As UK-based organisations, we welcome the UK’s leadership on the humanitarian track and call on call upon the UK to be at the forefront in delivering humanitarian aid to besieged and other at-need communities in Syria, whether through ground deliveries or through air drops if necessary. We stress that there is a clear legal mandate for doing so. We hope that the full and long-term implementation of the 17 May ISSG decision will help save lives and deliver life-saving assistance to at-need communities. 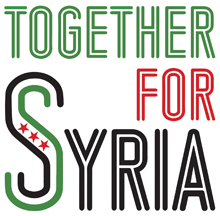 We also hope that it can represent one step forward towards achieving a political solution in Syria after five years of war. Please see Eva Barlett's blog and her Facebook page. The destruction of Syria and her people is not Assads responsibly. It's very clear where ISIS receive their funding. More people are beginning to see and recognise the truth. I give you a message from an ordinary man. Nice try, but I don't buy your narrative.